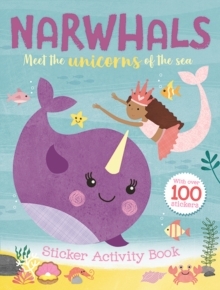 DIVE INTO A MAGICAL UNDERWATER WORLD AND FIND OUT ALL ABOUT NARWHALS . . . THE REAL-LIFE UNICORNS OF THE SEA!Learn all about these real-life magical creatures in this jam-packed activity and sticker book. Crack the secret codes, help the mermaids get ready for a party, learn how to draw your very own narwhal and much, much more!Illustrated by Lindsey Sagar and Anne Passchier.